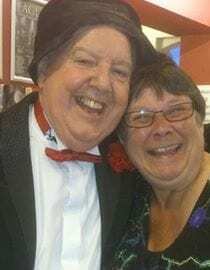 The legendary Jimmy Cricket is set to join forces with BBC Radio Newcastle’s Alfie Joey for a comedy extravaganza at The Customs House Theatre in South Shields. For one night only, two of the finest exponents of the art of comedy will bring their contrasting styles to a show that will be bursting with one-liners, gags, stories and the odd punchline or two! 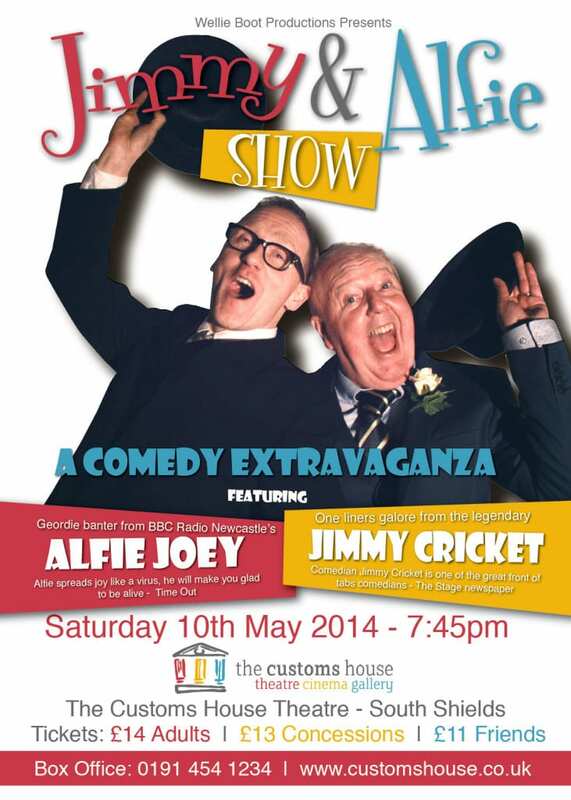 The Jimmy and Alfie Show is on Saturday 10 May. Tickets have been kept affordable, with the top price capped at £14. Alfie said: “It is a sheer delight to be sharing the stage with a comedy great like Jimmy Cricket. Jimmy said: “I’ve worked with Alfie on a number of occasions in the past, including teaming up together a couple of years ago for a show at the ARC arts centre in Stockton-on-Tees. So I was thrilled to be offered this chance to work with him again in South Shields because he is just great fun to be around.